Egypt's Ministry of Communication & Information Technology, Google, and Udacity have partnered to educate professionals in Egypt in Android mobile development with the goal of preparing students for the jobs of the future. All of the education content will be provided for free. Additionally, 2,000 students can apply to receive scholarships to take courses with access to coaches and hands-on projects. Students who graduate from the program will receive verified certification and job placement opportunities. تعاونت وزارة الاتصالات وتكنولوجيا المعلومات المصرية مع Google وUdacity وذلك لتعليم محترفي مجال تطوير تطبيقات Android في مصر بهدف إعداد الطلاب للوظائف المستقبلية. وسوف يتم توفير جميع المحتويات التعليمية مجانًا. وبالإضافة إلى ذلك، ستتاح الفرصة أمام 2000 طالب للحصول على منح دراسية للانضمام إلى دورات تدريبية مع إمكانية الوصول إلى المدربين والمشاريع العملية. وسوف يحصل الطلاب المتخرجون من هذا البرنامج على شهادة معتمدة وفرص توظيف. What is the MCIT / Google program about? 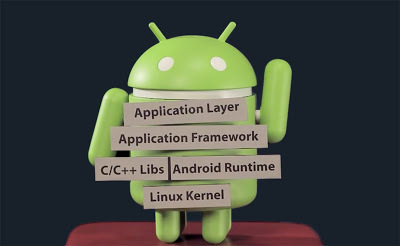 We will enroll students in the Developing Android Apps course offered by Udacity and offer support on-the-ground to help get them certified. We will Arabize the Udacity platform so that it becomes available to the entire public, but we will only provide scholarships for certifications for our 2,000 program participants. For the most promising talent identified during the Udacity course, we will further invest in their development by sponsoring them for an advanced curriculum. 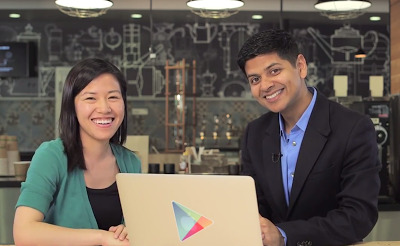 The Udacity course will give our program participants the fundamental know-how to build a great Android app. Program participants will be invited to enter startup competitions where a total of USD 200,000 will be awarded to the winners to help them commercialize their apps. Throughout this process, we will make sure program participants have access to coaches and mentors to enable their success. Additionally, we want to advance the professional careers of our program participants by preparing them for the job market and connecting them with reputable employers. We plan to provide interview and CV training, hold 4 career fairs, and create a matchmaking portal. Last but not least, for high performing participants of the program, we will help them gain regional and international exposure by flying them for visits with top global employers (including Google HQ in Mountain View, California). By design, this program is targeting a specific profile. We are looking for candidates who have a strong background in programming (the Udacity course is not an introductory course!) and young people who are about to enter the job market or early in their careers. Can anyone enroll in Udacity courses without being part of this program? Yes. 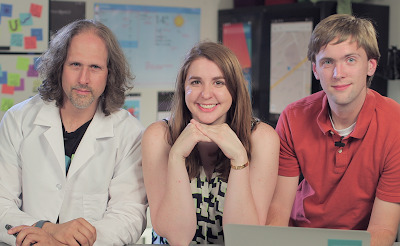 We are Arabizing the Udacity platform and 5 of its most important and popular courses. These courses will be available to the entire public for free, and we encourage many people in Egypt and beyond to take advantage of this. However, this program (including its certifications, scholarships, competitions etc) can only be made available to eligible candidates who pass the application process. We will circulate an application form to everyone who has expressed interest in the program. We expect to circulate the form by July 31, 2015. How will applications be prioritized?